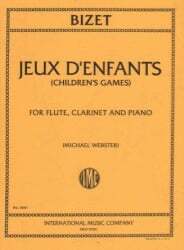 Jeux d'Engants (Children's Games) Op. 22 originally for piano 4-hands. Arranged for flute, clarinet, and piano.